One of the most popular yacht rental destinations in the Mediterranean, Cannes offers much more than an alignment of designer boutiques, luxurious hotels and private beach clubs. Take advantage of your Cannes yacht rental to enjoy a more nuanced and attractive discovery of one of the French Riviera's most iconic yacht charter destinations. 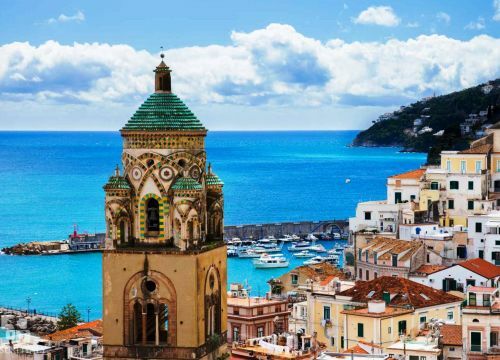 Whether you are on a day yacht charter or stopping in Cannes as part of a weekly yacht charter French Riviera itinerary, there is plenty of things to keep yacht charterers busy. Our team unveils the essential attractions to discover or rediscover the area during your Cannes yacht charter. Just like every Mediterranean village, Cannes was originally built on a hill to prevent enemy attacks. A relic of this distant era, the Suquet district, with its narrow streets and colourful houses, has kept the character of a typical Provençal village. Take a stroll through Cannes' oldest district and immerse yourself in the city's authentic atmosphere. If you make it to the top, you will be able to admire your charter yacht from afar! The bay of Cannes is peppered with restaurants and lunch on the beach, facing the sea, is an absolute must. We particularly recommend La Môme Plage, 3.14 and ZPlage by Martinez. Recent development work has increased the stretch of sand and therefore the beach club facilities. Maybe not as brilliant as the deck of your charter yacht and private chef but no doubt you will feel at ease! La Croisette is one of the most famous waterfront promenades in the world. Lined with palm trees and spanning over 3km, La Croisette offers a variety of attractions: legendary hotels, casinos, luxury boutiques, exclusive beach clubs, gardens and yacht marinas. Once a sandy marshy path, the municipality of Cannes conceived the project to develop La Croisette when tourism started to flourish in the 19th century. Every morning, apart from Mondays, the Forville Market is held in the popular and historic heart of Cannes. Stroll through the stalls, talk to the local producers and whet your appetite with a piece of socca! This speciality from Nice is made from chickpeas and can be enjoyed just out of the oven. The products are of high quality and even some yacht crew stock up! Just like in New York or Paris, rooftops are sprouting up in Cannes. The rooftop of the Radisson Blu Hotel is undoubtedly the ideal place for drinks with a view. 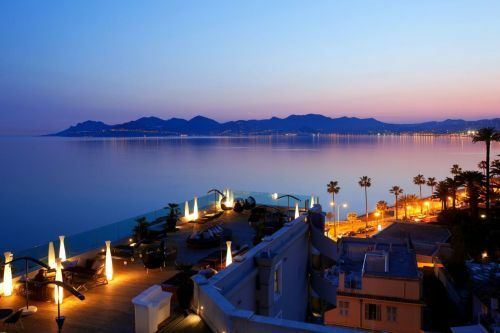 The terrace offers breathtaking views over the Lerins islands, the Esterel massif and the entire bay of Cannes. The 3.14 Hotel also boasts a lovely spot. Focus, you will be able to spot your very own charter yacht! 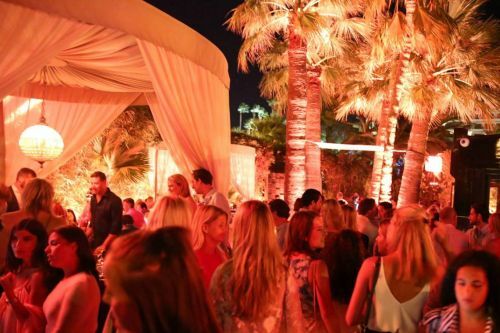 In the summer, Cannes becomes a popular destination for party lovers. Cocktail lounges, wine bars, nightclubs and other pop-up venues contribute to its vibrant nightlife. Bâoli is one of the emblematic clubs in Cannes. Among the other great spots to keep in mind, the Gotha, which welcomes international house and techno headliners. Enjoy a radical change of scenery with a yacht cruise to the Lerins islands, two islets in the bay of Cannes. For swimming and snorkelling enthusiasts, this is the ideal yacht anchorage spot. Ile Saint-Honorat shelters an abbey where about 30 Cistercian monks live in total tranquillity. The island has beautiful vegetation and vines, the monks produce wine (over 40,000 bottles per year!). The restaurant La Tonnelle offers a superb setting for lunch. If you want a more sophisticated restaurant, head for the neighbouring island of Sainte-Marguerite and the restaurant La Guérite. 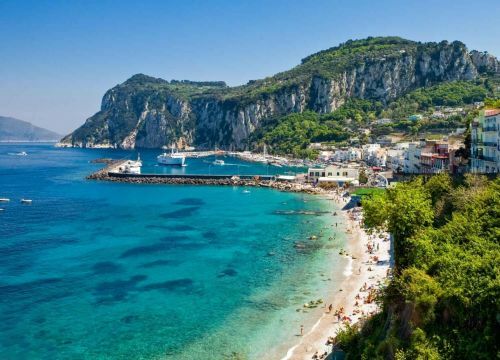 If you’re landing on this page but still hesitating about a Cannes yacht rental, we can assure you chartering a yacht in Cannes must definitely appear on your bucket list. Cannes is the home port of some of the Mediterranean’s best motor yachts available on the charter market. The surroundings are perfect for a yachting escape and especially the Lerins Islands with their dazzling blue waters. 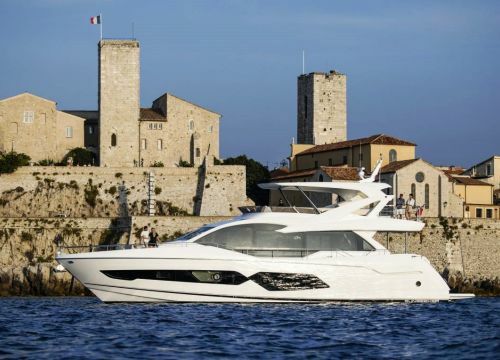 If you’re interested in a week charter, Cannes makes for an ideal starting point for south of France yacht rental. Most of the charterers decide to spend 1 or 2 days in Cannes during a weekly French Riviera yacht charter. 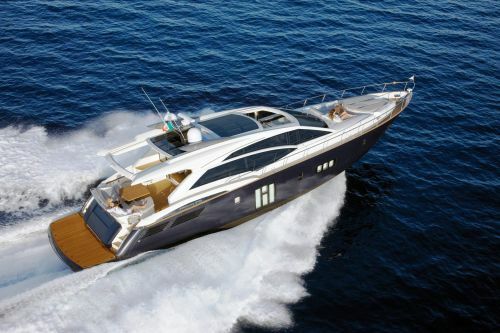 Check out our non-exhaustive selection of the best yachts available for a Cannes yacht charter. Looking for more information about renting a yacht in the south of France? Contact us or head to our French Riviera yacht charter destination guide. We’re here to assist with your Cannes yacht charter and make your yachting holiday MEMORABLE!